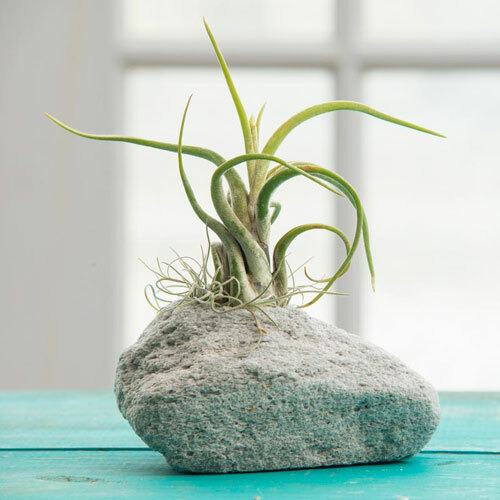 For displaying air plants such as Tillandsia, look to this naturally beautiful pumice stone holder. Totally unique with one-of-a-kind coloration, each Featherock Single features one opening the perfect size for cradling an airy Tillandsia, colorful sedum, pretty succulent, even a 2" pillar candle. Placed on a desk, coffee table or reception counter, it's a lovely complement to any décor. 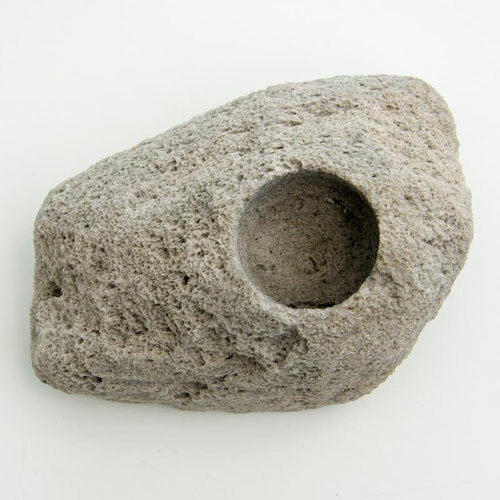 100% natural lava rock; color and size will vary. If you've ever considered xeriscaping, the practice of gardening with plants that require very little water or soil, then Spring Hill has you covered. We are proud to introduce our newly developed line of presentation options perfect for use with air plants such as Spanish Moss and Tillandsia. These carefree plants are must-haves in any xeriscaping display. Simply tuck them into any one of our unique steel or aluminum coil pieces for a modern, industrial look. 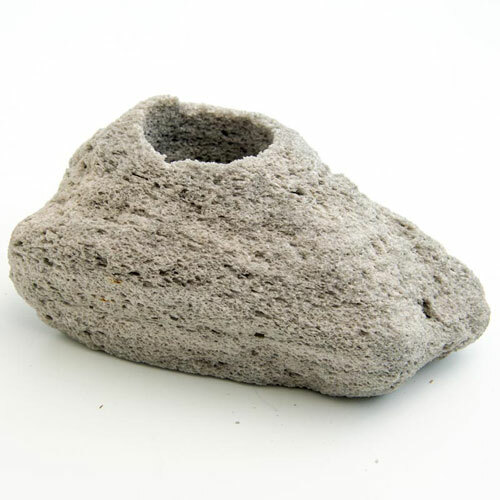 Or, choose one of our Featherock models, made of natural pumice stone and ideal for use with a wide variety of plants and home décor items. Any way you choose to showcase these garden wonders, look to Spring Hill for ideas.